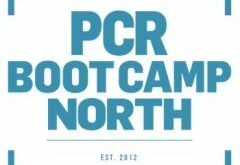 Executives from across the UK’s PC supply chain will share their insights on the issues impacting tech dealers today during the PCR Boot Camp North 2015conference stream. The conference programme runs during the morning of the event – on Wednesday, November 18th at the Royal Armouries in Leeds – and comprises a mix of keynote talks and panel sessions that will inform, educate and entertain on topics directly relevant to technology dealers. It will be followed in the afternoon by an Expo, during which dealers will be able to do business with manufacturers and distributors. 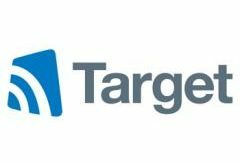 Analyst GfK will run through the hottest product categories and the goods that retailers and resellers should consider stocking for Christmas and the New Year. West will also give a detailed look at how the UK tech market has changed this year, the state of the economy and also what trends are expected to emerge in the future. Senior tech distribution executives gather to answer your questions and discuss the shifting PC market, how the industry has changed as well as the latest challenges and opportunities for your business. Send your questions in now to dsacco@nbmedia.com. Anna Cheng will be exploring the biggest trends affecting the market, diversity in tech and the direction the computing industry is set to take in the future. She will also look back on important developments from the recent Intel Developer Forum and how the firm is even fighting cancer with cloud technology. Panel session: A PC gaming revolution? A panel of experts discuss the latest and emerging developments in gaming hardware, other sales avenues that retailers, resellers and system builders can explore, as well as the technologies and trends they should be mindful of in the future, from virtual reality to 8K and more. With a second wave of cloud adoption on the rise, can your business afford not to embrace changes in this area? Richard Roberts will take a closer look at this ever-growing category, how cloud computing is evolving and the new raft of revenue opportunities for resellers. More details on the event, including conference timings, can be found at www.pcrbootcampnorth.com/event-scheduler. 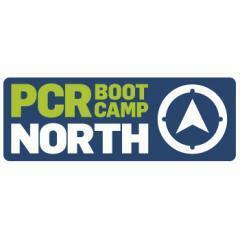 PCR Boot Camp North takes place on Wednesday November 18th at the Royal Armouries in Leeds and will once again specifically cater for retailers and resellers in the Midlands, North, Scotland and Wales. It’s completely free for dealers and system builders to attend and all will go home with a free gift – a choice of two premium speakers. If you’re a dealer and want to register to attend, click here. For sponsorship opportunities, contact Jennie Lane via jlane@nbmedia.com or call her on 01992 535647.